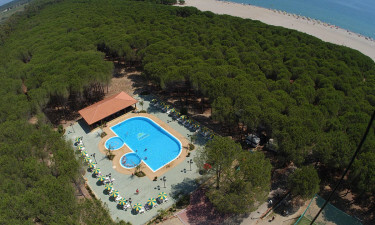 Thurium - Calabria, Italy - Book online at LUX-camp today! 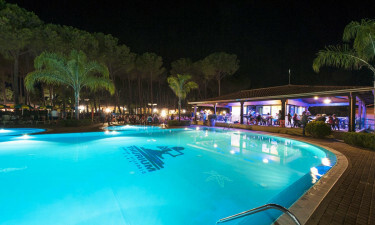 Situated in the stunning Calabria region of Italy, Thurium is a leading LUX-camp where people who enjoy luxury camping are treated to a relaxing and enjoyable stay. Whether you prefer unwinding in style while enjoying pure pampering and relaxation or taking part in exciting activities, this is the perfect place to stay. Why choose a camping holiday at Thurium? The site itself features a large wooded area with paths running through it and this is a great place to take an after dinner stroll. Several pretty paths also run along the coast and guests are sure to love gently strolling along the beach or hiring a bicycle so that they can explore the area at their own pace. A long stretch of golden sand is situated just a few paces from Thurium and this is a great place to spread out and work on a tan. The shore is lapped by the clear waters of the Ionian Sea and visitors can keep cool by taking a dip in the waiting waters. 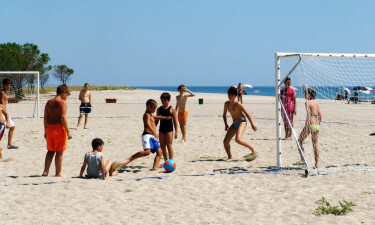 The waves are generally fairly calm and safe for even young children to swim in, while a large number of different types of water sports can also be practiced here. A whole host of different types of activities are organised by the staff at Thurium to make sure that people of all ages have fun. Football matches as well as other types of sports are regularly organised and guests are always welcome to join in the fun, while those who like to strut their stuff on the dance floor are sure to enjoy the evening disco. There is also a large outdoor cinema where families can sit back and relax at the end of the day, while watching a film. The onsite restaurant serves up a range of tasty treats and the menu is changed each day to ensure that guests will always have something new to try. 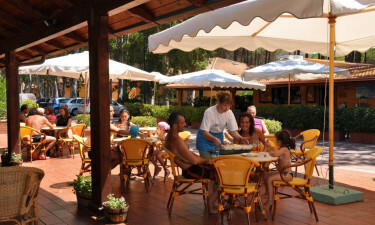 Thurium also boasts a pizzeria, while the snack bar that is located beside the large outdoor swimming pool is a great place to grab a light bite to enjoy beside the pool or on the beach. A range of refreshments, including cool cocktails, is available to choose from at the bar and there is always something special waiting to be enjoyed here. One of the great things about choosing a mobile home at this luxury camping site is that it is equipped with cooking facilities so that families can enjoy home-cooked meals together. Fresh fish and bread can be purchased each day at the fish shop and bakery, while a well-stocked supermarket provides a range of products sourced from all over Europe. The site also has a newsagents where visitors can purchase newspapers each day, as well as magazines and other essential items.